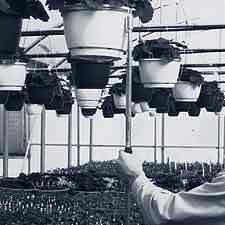 Dramm produces a number of specialized tools for greenhouses and agriculture. These products are listed below. Jumbo tweezer tool for liter pick up. Aluminum and plated steel with comfort grip. Comes with 10 in diameter ring and 36 rod to conveniently remove hanging baskets from hard-to-reach areas above! Rings also available for 8 or 12 inch pots. Rod also available in 60 in or 84 in lengths. 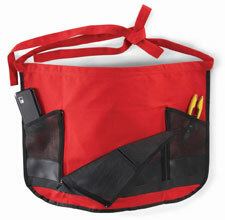 The ColorWear Apron is great for gardening, landcaping, interiorscaping and garden center workers. A unique center mesh zippered pocket holds deadheads and yard debris, unzipping to dump. 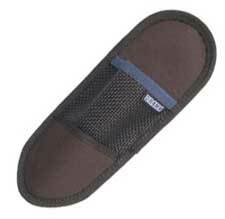 Other pockets store tools. Keeps you clean while you work. Perfect for quick cutting and deadheading. Small compact design for comfortable use. Six colors so everyone gets their color choice. Perfect for small woody cutting. Small compact design for comfortable use. Six colors allows for personalization while pruning. 18020 Compact 6 colors 12 2 lbs. Fits Compact Shear and Pruner. Clips to belt. Leatherette base to protect blade. 19010 Compact Black 12 1 lb. SK5 Steel, Lightweight Aluminum Handle. Comfortable rubber grips. 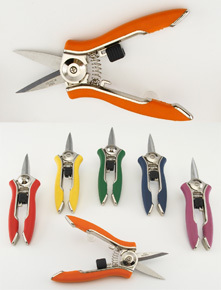 Six colors for stylish pruning. Incredibly sharp. Replaceable blades. 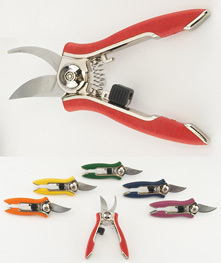 Little Buddy Hydroponic Shear with durable stainless steel blades. 18037 3 in. Blade Yellow 12 2 lbs. 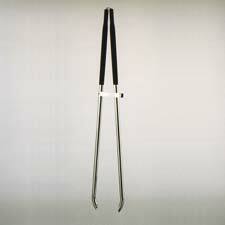 Little Buddy Hydroponic Shear with titanium coated stainless steel blades to resist sap buildup. 18033 3 in. Titanium Coated Blade Yellow 12 2 lbs.